While we’ve said goodbye to the Commodore and Falcon, the muscle car war hasn’t died off completely. 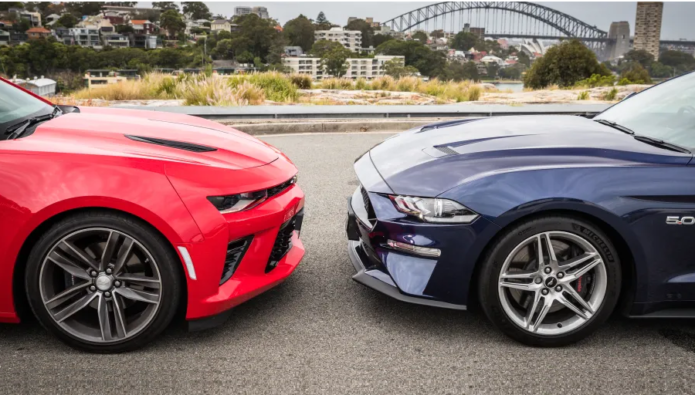 For the first time, it’s the traditional US rivals that square off Down Under, with the 2018 Chevrolet Camaro 2SS now on sale (albeit in limited numbers) alongside the 2018 Ford Mustang GT. In the current, ahem, climate of electric this and hydrogen that, let’s put greenhouse gas considerations aside for a few minutes and rejoice in the bellowing, snarling, octane-fed thunder of yesteryear. I, for one, love it.